Make sure to have 1/8" space from end of comb bevel to tip of cutter. I shear alpaca and llamas exclusively. Im not a circuit shearer i sjear small farms in 5 states and that accouts for about 100 animals. I use only 13T combs. I have many straight combs, Heininger, Andis, Oster - and Premier One Spirit. 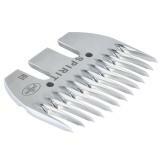 I also have a few 13T gathering combs by Premier One as well. 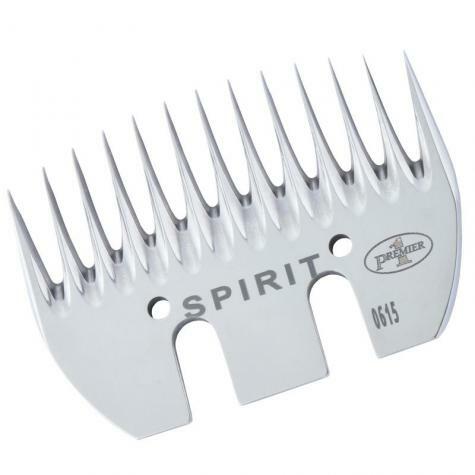 I have found the Spirit combs to be equally comparable to the other brands. Out of the box sharp and ready to use. I dare say the Spirit combs may hold an edge a little longer in the right conditions! 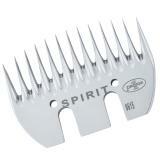 If your shopping for combs - do not hesitate to shop Premier One Spirit. I love the Spirit combs for blocking out sheep for show. 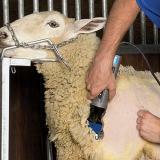 The Premier shears are also easy to use when making curves on the sheep in tight places because of their compact size. These are great especially if you're just getting started. 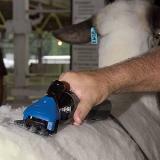 I've been to two shearing schools at Ag Universities. 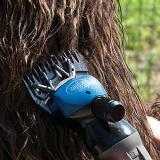 One used Premier shears with these combs and Spitfire cutters. The other I used my own Premier shears with these combs and Spitfire cutters. Other students were using bigger shears fitted with Chinese combs and cutters. The combs and cutters didn't last nearly as long and they were fatigued faster holding those heavy shears. Worked great with a new spitfire cutter. Ready to go right out of the box. 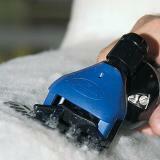 Used with ceramic cutter for shearing very heavy wooled breeding ewes and worked fantastic. Had to clean frequently because the ewes were super dirty and oily, but still sharp 15 ewes later.